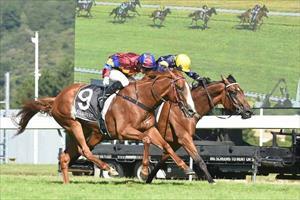 Tomorrow we head to the Te Teko trials with a team of eight horses. We have a few older horses working up towards summer goals, using the trials for fitness purposes, and some young horses heading for an educational day out. The team includes Gr.2 Wellington Cup winner, Mister Impatience, who will be gaining some valuable mileage as he will look to be competitive once again this season in some of the lucrative staying feature races that New Zealand has to offer. Talented mares Starstripe and Saffron Lady will also look to get some fitness under their belt as they target black-type evetns over the summer and autumn period.